City Attorney Dennis Herrera at a press conference announcing the terms of the settlement reached with Academy of Art University. SAN FRANCISCO (Dec. 19, 2016)—City Attorney Dennis Herrera today announced that he had reached terms for a proposed settlement valued to San Francisco taxpayers at more than $60 million in the lawsuit his office brought against Academy of Art University. The agreement includes $20 million in cash, including penalties and a major contribution to a program that helps low income tenants who are at risk for evictions. The figure is the largest monetary award the city has reached in a code enforcement case. The deal would also require the academy to provide at least 160 units of affordable housing worth an additional $40 million, an investment unprecedented in city history in a code enforcement case. As part of the deal, the first half of the units of affordable housing must be ready for occupancy in 18 months. Herrera made that announcement on the day he expects the academy to file an application with the Planning Department for a development agreement, which is the first step in a public process to create a binding framework to implement the terms of the settlement. The proposed settlement, once approved, would bring the academy and its complex array of affiliated limited liability companies that own property throughout San Francisco into full compliance with city land-use rules while providing major affordable housing, transportation and sustainable growth benefits to the city. Significantly, the agreement includes continuing court oversight to ensure the academy complies with its obligations and uses its property in a way that is compatible with the rest of the city. The deal comes after the City Attorney’s Office filed a lawsuit in San Francisco Superior Court on May 6, 2016 to halt years of stalling, obfuscation and repeat offenses by the academy, which had routinely ignored city land-use rules. The lawsuit provided the impetus for the academy to negotiate in earnest on a global settlement addressing all of the academy’s land uses in San Francisco, not just its properties that were subject to the lawsuit. The agreement will provide tangible benefits to San Franciscans – like dedicated affordable housing – that the city could not have obtained through a court judgment. It will also provide ongoing court oversight to ensure compliance. The settlement comes after the for-profit school had thumbed its nose for a decade at San Francisco’s land-use rules, exacerbating the city’s shortage of affordable housing, while amassing a real estate empire that included multiple unauthorized, unpermitted, and wholly disallowed uses of various properties. The academy and its array of affiliated limited liability companies purchased and leased some 40 properties for use by the private university citywide. At least 33 of them faced violations of zoning, signage, environmental, historical preservation, or building code requirements, according to a March 2016 Planning Department memo. Among the unauthorized uses were 160 affordable residential units that the academy illegally converted into student housing. Another 140 units were removed from the city’s stock of rent-controlled housing. providing at least 160 units of newly available affordable housing on two adjacent Nob Hill properties it owns, as described in more detail below. That includes upgrading one of the properties, building a new affordable housing building on the other, and maintaining all of the units for 66 years as affordable for people earning 50 percent of the area median income—all at no cost to the city. That affordable housing benefit is valued at $40 million, according to the Mayor’s Office of Housing and Community Development. In other words, the city would have to invest $40 million to provide an equivalent affordable housing benefit. The penalties are on top of more than $1 million in city costs and administrative penalties the academy has paid since the enforcement lawsuit was filed. The comprehensive settlement proposal stems from negotiations by the parties over the past several months and was ultimately finalized under judicially-mandated supervision by Judge Harold Kahn in connection with Herrera’s lawsuit. It is memorialized in a term sheet that Herrera expects the academy to submit with its development agreement application. The settlement deal was made possible through the assistance of the Mayor’s Office of Housing and Community Development and the Planning Department, backed by the Planning Commission, working closely with the City Attorney’s Office. In particular, Planning Director John Rahaim, Zoning Administrator Scott Sanchez and MOHCD Director Olson Lee were active participants with the City Attorney’s Office in the settlement negotiations. The lawsuit, which Herrera filed on behalf of the City and County of San Francisco as well as the People of the State of California, contended that the academy used its properties in violation of city codes and unlawfully deprived San Francisco of desperately needed residential dwellings in the midst of the city’s severe affordable housing crisis. The suit further alleged that the defendants’ unfair and fraudulent business practices illegally denied San Franciscans their rightful role in neighborhood planning decisions, and disadvantaged law-abiding competitors in San Francisco’s real estate marketplace. The academy, through its affiliated limited liability companies, is required to provide at least 160 units of new and rehabilitated affordable housing combined on two properties: 1055 Pine St. and 1069 Pine St. All of the housing must be affordable to people making up to 50 percent of the area median income. Both sites are slated to house low-income seniors. The academy must make the necessary capital improvements and operate the projects–all without using city funds or competing with city-sponsored affordable housing projects for federal or state funding. The academy will lease each of the two sites for 66 years to an affordable housing nonprofit to manage. The 66-year terms start when the units are ready for occupancy. At the end of that period, the academy will cover transition costs for residents to make sure they have a place to live, primarily through relocation payments or lifetime leases. At 1055 Pine St., where there are currently about 80 units used as student housing, the academy must relocate the students to lawfully permitted housing by June 30, 2017. Then it must renovate the building and have it ready for occupancy within a year. At 1069 Pine St., which is underdeveloped and currently houses a gym and storage, the academy is required to vacate the building by June 30, 2017 and build a new affordable housing development with about 80 units or more. The academy has up to three years to get non-city financing lined up and start construction, and another three years to finish. $7 million – Small Sites Program, replenishing a fund that had been fully committed, which provides city loans to groups like housing nonprofits to buy smaller, rent-controlled apartment buildings serving low-income tenants. The program requires the new owner to keep the units affordable and allow the existing tenants to remain. Thirty-seven entities affiliated with the academy that own properties the academy currently uses will all be responsible for fulfilling the financial obligations to pay the penalties, fees and provide the affordable housing. Importantly, those financial obligations are also secured by a guaranty that includes Elisa Stephens, the president of the academy and granddaughter of its founder, and the Stephens family trust. The academy and affiliated entities will also be responsible for paying all applicable permit related fees, including paying the city for its costs in processing the development agreement application and negotiating the agreement. an agreement by the academy to withdraw requests for approval for a number of its existing uses that are not clustered with the rest of its campus, including 2340 Stockton Street, 2295 Taylor Street and 700 Montgomery Street. These buildings could not be used in the future for academy purposes. a consent judgment to be entered in San Francisco Superior Court allowing the court to enforce all aspects of the settlement. The academy’s filing of an application for a development agreement is the first step in a process involving preparation of final documents for approval of the proposed settlement by the Planning Commission and the Board of Supervisors. In addition to the development agreement, those documents include a settlement agreement, injunction, guaranty and complicated long-term real estate agreements to provide the affordable housing. The parties expect to submit the final agreements to those bodies next fall. Over the next several months, the Planning Commission is expected to hold public hearings on the development agreement application. The case is: People of the State of California, ex rel. Dennis J. Herrera, et al. v. Stephens Institute, d/b/a Academy Of Art University, et al., San Francisco Superior Court, filed May 6, 2016. 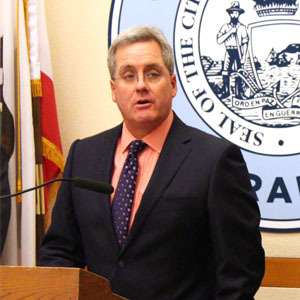 Additional information is available on the City Attorney’s website at: https://www.sfcityattorney.org/.